I’m devastated by the news of Anthony Bourdain's death. I didn’t know him personally, but the man was my idol. He had what appeared to be the most adventurous, purposeful, wonderful life—traveling the globe, trying new foods, eating noodles with Obama in Vietnam, advocating for marginalized populations. He showed the heart and soul of every place he visited, not the sugar-coated version made palatable for American consumption. 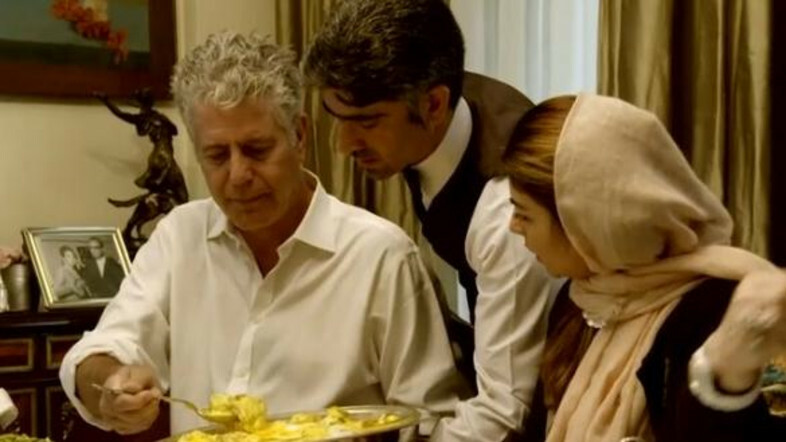 I felt I knew Bourdain, even though we’d never met and he had no idea I existed. I felt a camaraderie with his particular brand of authenticity and grit. It breaks my heart—probably more than it should—that he is gone. But I’m also quite shaken by the realization that someone who seemed to have it all could be struggling so deeply. He was so open about his past, his addictions, his raucous early years, that one could surmise he would be as open about his current challenges. I guess not. He was intensely curious about the world around him - food, people, ideas. I've long regarded curiosity as the antidote to all kinds of emotional challenges, from complacency to depression. I guess I was wrong about that, too. "We ask very simple questions: What makes you happy? What do you eat? What do you like to cook? And everywhere in the world we go and ask these very simple questions, we tend to get some really astonishing answers." In this, I want to continue in Bourdain's footsteps. Sharing food is the best way to break through the invisible walls that divide, and he was a master at getting people to open up and share their extraordinary stories over a drink and a meal. I can think of nothing more beautiful. In a way, Bourdain's raw and unapologetic persona gave me permission to live my life against the rules. I lost a bit of myself today. He was, in my opinion, one of the greatest chefs, writers, and humans of our time. “If I'm an advocate for anything, it's to move. As far as you can, as much as you can. Across the ocean, or simply across the river. The extent to which you can walk in someone else's shoes or at least eat their food, it's a plus for everybody.